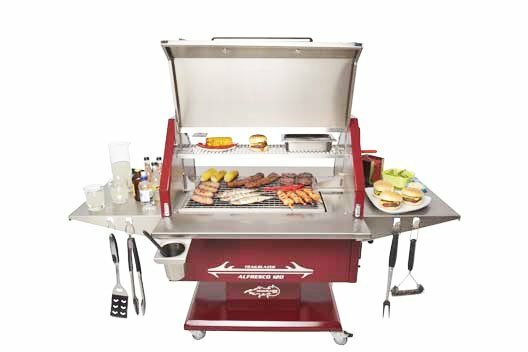 The first, commercial quality charcoal grill with adjustable cooking heights for home use. 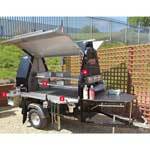 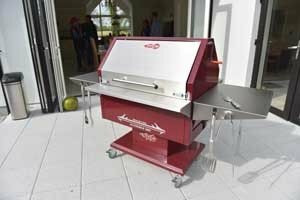 Whether you are a BBQ enthusiast looking for the ultimate bbq for home usage. 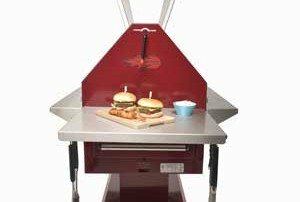 An outdoor family that enjoy touring the country side whilst enjoying the best of charcoal grilling or simply a party planner looking to show off a sleek, luxurious bit of kit that will become the star of the show, Trailblazer has the perfect grill for you! 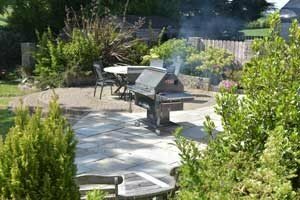 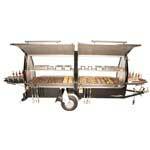 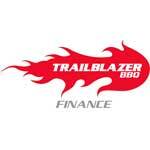 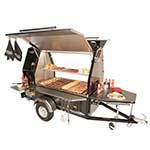 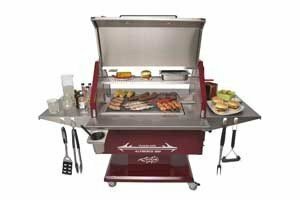 Upgrade your alfresco entertaining with a Trailblazer BBQ for an outdoor cooking experience your guests won’t forget! 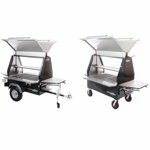 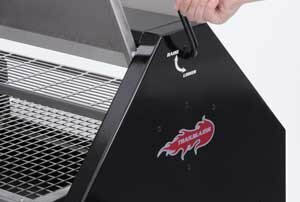 The first large, commercial quality charcoal grill with adjustable cooking heights for the BBQ enthusiast at home. 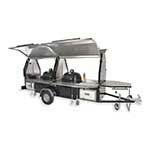 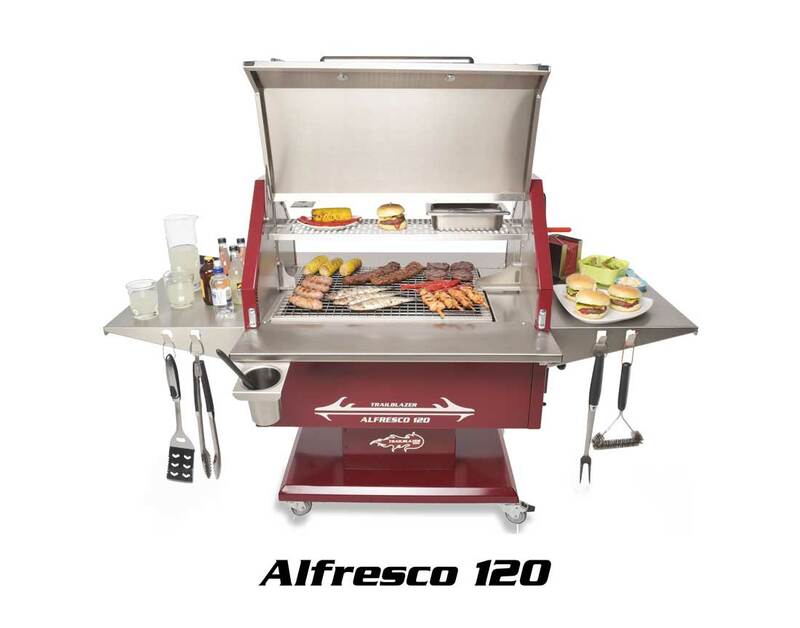 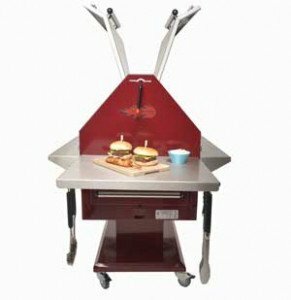 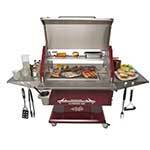 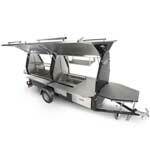 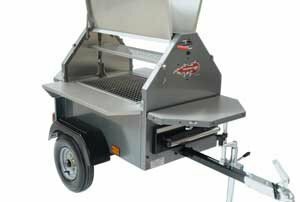 The Alfresco 120 will deliver the best outdoor gourmet grilling possible. 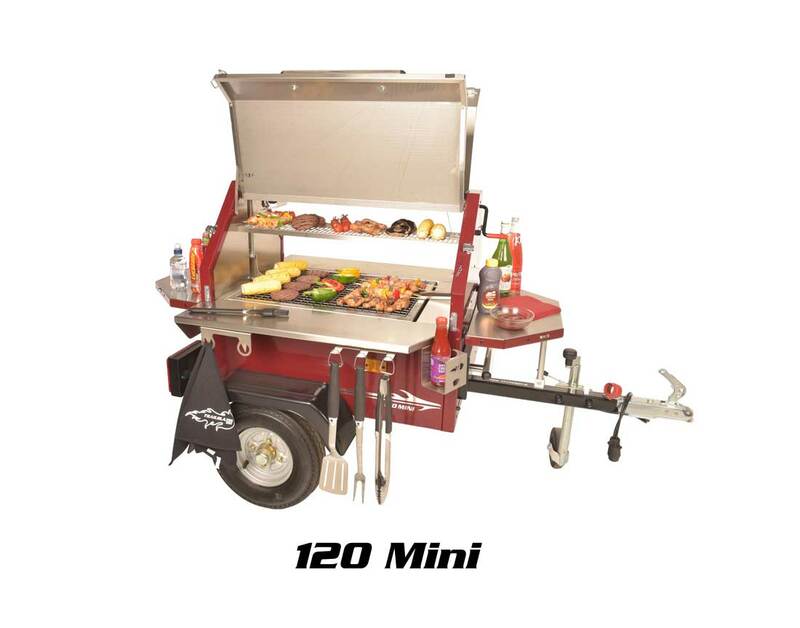 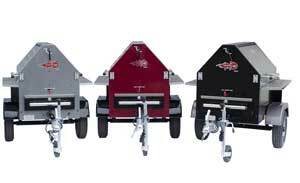 The 120 MINI will tow anywhere on or off road without the inconvenience of having to pack and unpack the BBQ. 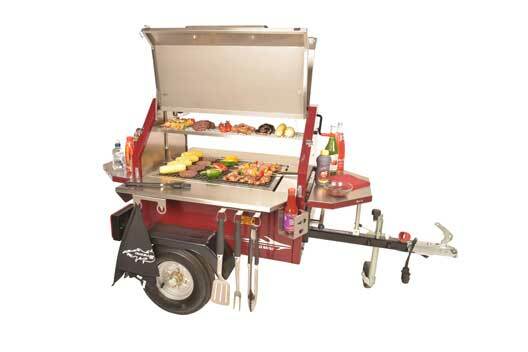 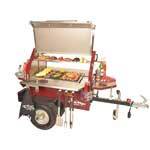 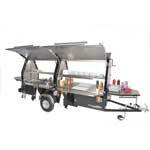 Just Hook It ‘n’ Cook It to enjoy the very best of BBQ/Grilling! 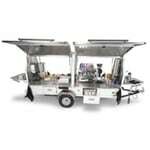 Simply not achievable with gas. 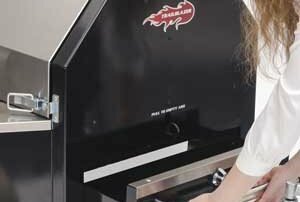 Instantly control heat from searing hot to low & slow cooking.